Setting the standard in ride performance, sporty looks and cool features, the 2018 VX Deluxe has it all. 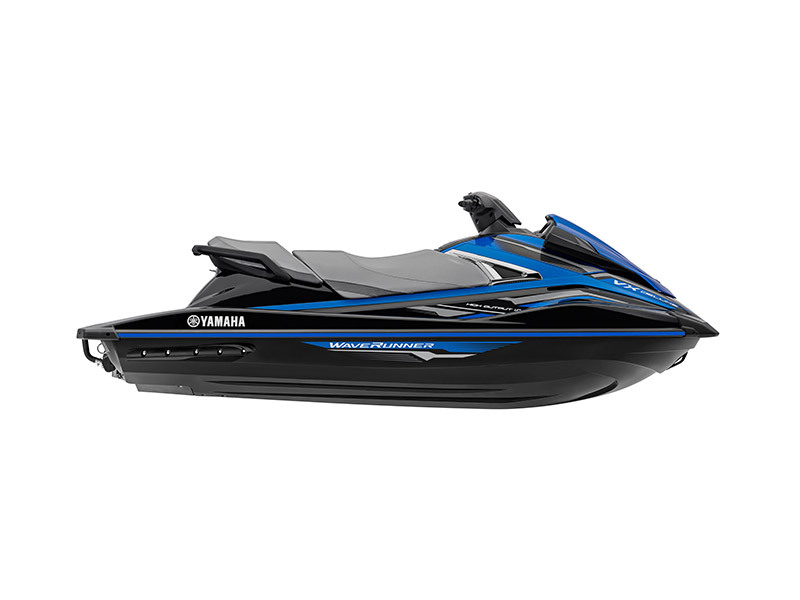 Powered by Yamaha’s TR-1 High Output, 1049cc, three-cylinder engine – the VX achieves excellent acceleration and speed from its lightweight, purpose-built marine engine to take you places. When combined with its cutting-edge deep V-shape keel and innovative NanoXcel® Hull and deck, the VX Deluxe delivers a highly fuel efficient, exciting and agile riding experience. Included in the VX Deluxe package is Yamaha’s innovative RiDETM and Cruise Assist technologies. RiDETM provides a unique dual throttle system that delivers simple and intuitive control over forward and reverse thrust, while Cruise Assist allows the rider to set and maintain an ideal speed, making cruising and towing easier. With its sporty colours and graphics, ultra-comfortable three-person two-tone seating, extended re-mount platform, towing hook and reboarding step, the VX Deluxe provides an affordable, highly capable and enjoyable on-water experience.